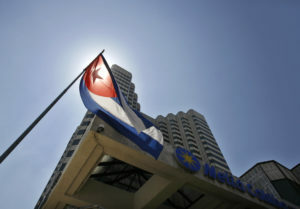 HAVANA — The Trump administration is preparing to tighten the six-decade trade embargo on Cuba on Monday by allowing some lawsuits against foreign companies using properties confiscated by the Cuban government after its 1959 revolution, U.S. officials say. Allowing a limited number of lawsuits could make investment in Cuba more burdensome. U.S. officials told The Associated Press that Trump would allow Title III of Helms-Burton to go into effect in a limited fashion that exempts many potential targets from litigation.